Fez is an odd duck, to be honest. It’s a 2D platformer with the gimmick being that’s you’re in a 3D world. How does this work in execution? Surprisingly, quite well. I was worried that Fez was trying to wear too many hats but instead found that it’s a perfect fit. Once you acquire the titular fez, your computer crashes (ok, not really, but the fake-crash animation had me worried for a second). Once back in the game you find that you can rotate the world in 90 degree increments to get a different perspective on the world around you. Whereas two platforms may be too far to jump between from one view, a quick turn of the world shortens the gap thanks to the powers of perspective. This is the crux of the game and it’s a good one. I cared far less about the story than I did about seeing what tricky jump or puzzle the game would throw out next. The controls cry for a gamepad, and my Xbox 360 controller worked great. I was greatly reminded of Super Meat Boy while playing, both in the controls (the jumps in both are rather loose and floaty) and the visuals. Similar to SMB, you go to worlds that resemble more primitive gaming technology (I really liked the Gameboy-like visuals at one point) and they fit the game very well. There are those who resent less-than-HD visuals (and these people seem to grow in number by the day) but I believe Fez would have suffered if it had tried to go with hi-res HD visuals. The retro look compliments the concept to a tee. The sounds, for their part, are solid if unremarkable. You not only have to find cubes to repair the world, but you can also track down treasure chests, scouring the worlds, looking for extra rewards. Since death is penalty-free you’re encouraged to explore and experiment. 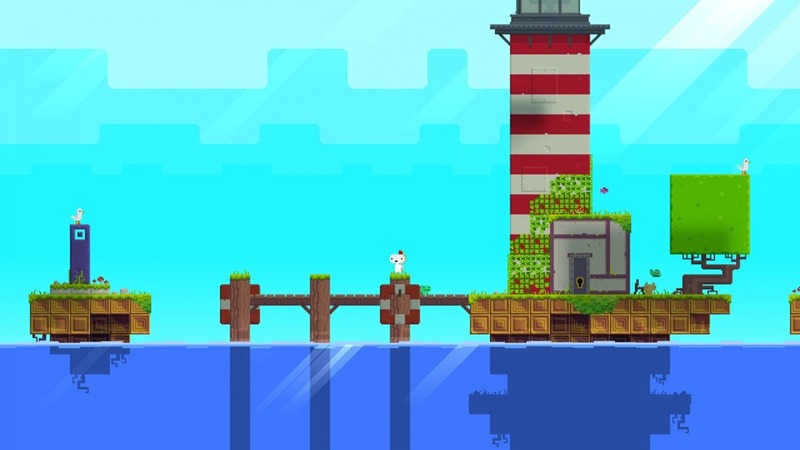 Fez reminds me allot of Portal in that way; trial-and-error is part of the game since dying is no big deal. 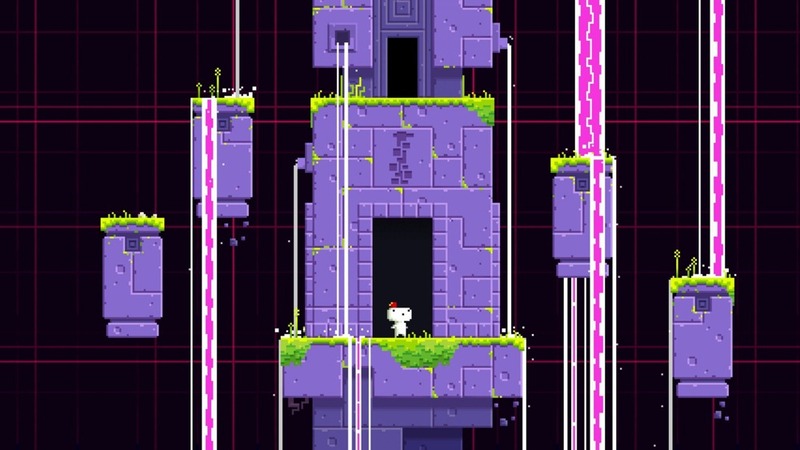 If you had limited lives or the world/level reset upon death, Fez could be tedious. Instead, it’s a fun, creative game for anyone who likes platformers and puzzles. I’d heartily recommend it.